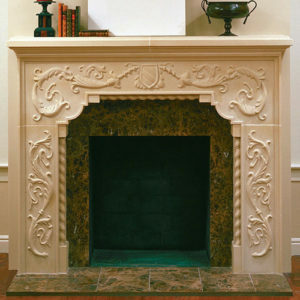 Highlight your home with the simple design of our Brentwood stone mantel. Sure to marry perfectly with your existing decor style, its sentimental beauty comes through in all of its simple, sophisticated allure. The subtly beautiful architectural details are cast in replicated Bedford Limestone, recognized to be the highest quality quarried limestone in the United States. Makes for a cost-effective alternative to natural limestone while still maintaining all its inherit charm. we are delighted with our beautiful fireplace surround, it gets all kinds of compliments from our visitors… Thanks again for all your help. You guys are great!